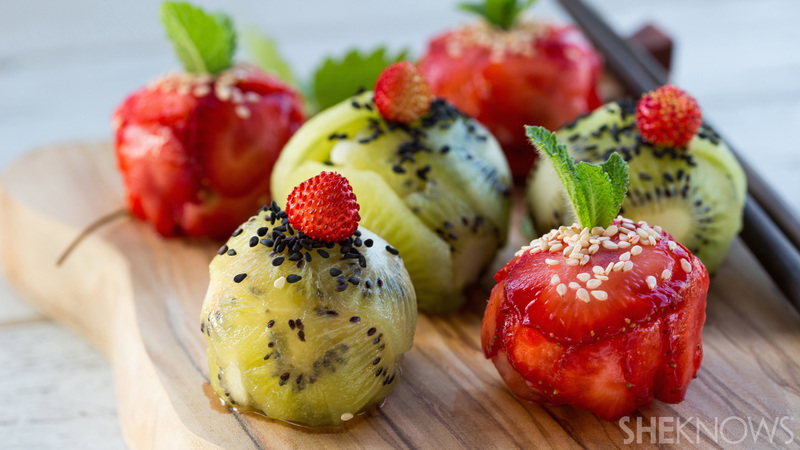 If having sushi for dessert just sounds way too crazy, hear us out — fruit sushi is actually super tasty, and it’s also visually stunning enough to wow even the most jaded of dinner guests. 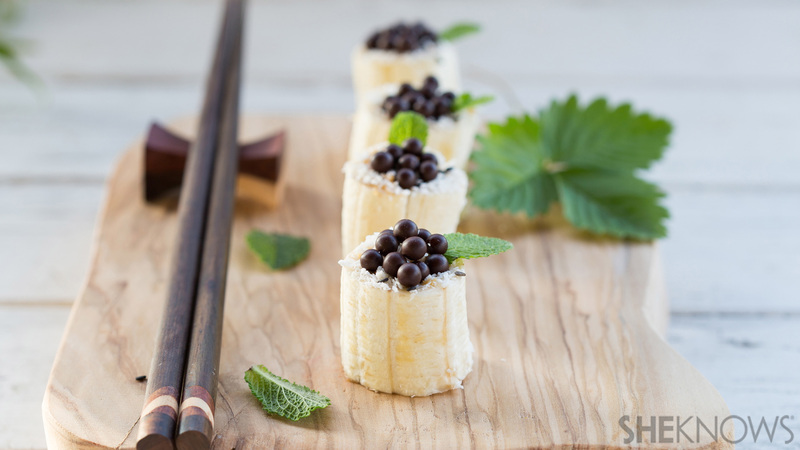 Dessert sushi combines traditional sushi rice with bright, sweet fruits. Don’t worry, there’s no fish anywhere in sight. 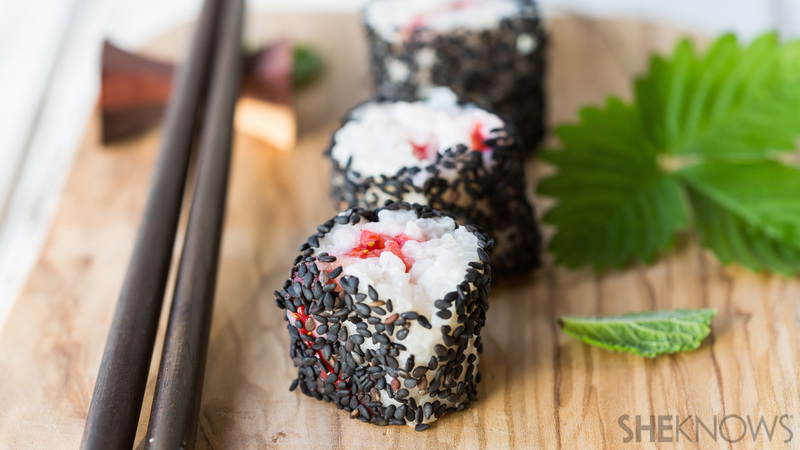 And these three different kinds of fruit sushi are actually really easy to prepare — especially with the step-by-step photos provided to guide you. 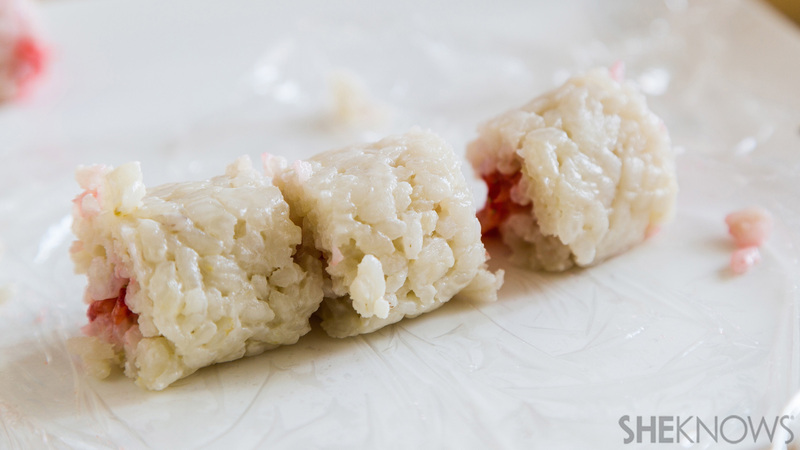 You will need several pieces of plastic wrap to shape the sushi into perfect balls. Start by laying the plastic wrap on the table, then place the strawberries in the middle (same with kiwi), and top with the rice. If you want to be precise with the size of the balls, then weigh the rice. I use 0.7 ounces, but you can also just use 1 to 1-1/2 tablespoons. When that is done, collect the edges of the plastic wrap, and twist them until the sushi is shaped into a compact ball. Squeeze the sushi a little bit (but not too tight). Unwrap the plastic wrap, and carefully extract the sushi ball. Place it on the serving plate, and top with a small mint leaf. 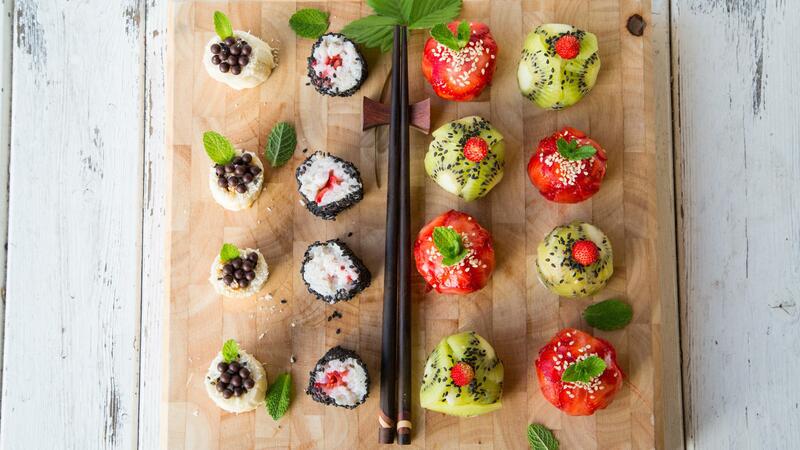 Top the kiwi sushi balls with a wild strawberry, red currants or anything with a contrasting color. To a small saucepan over high heat, add the rice, coconut milk and sugar. Once boiling, simmer on the lowest heat for 18 to 20 minutes or until tender. Mix once in a while. Let cool. Slice the strawberries and kiwifruits as thinly as possible with a sharp knife. Set them aside. Using a square piece of plastic wrap, distribute the strawberries (or kiwi) in the middle, leaving a 3- to 4-inch parameter all around them. Top the strawberries (or kiwi) at the center with 1-1/2 tablespoons of rice. Close the plastic wrap, and form a ball. 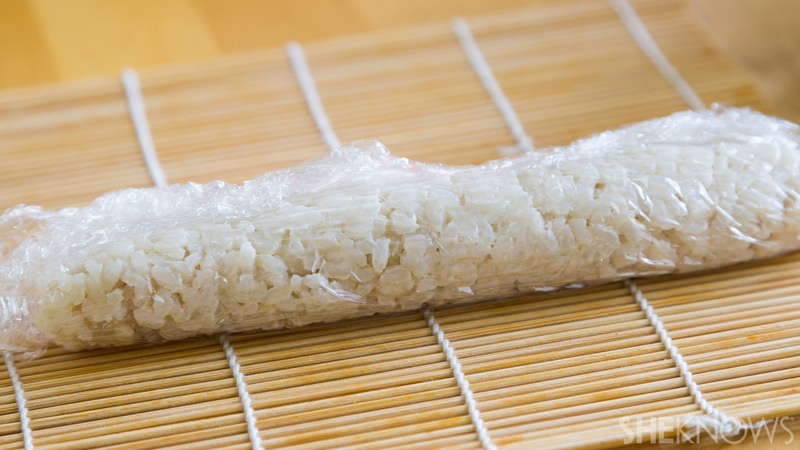 Twist the plastic wrap to tighten around the fruit and rice. Carefully unwrap the plastic wrap from the sushi ball. Garnish with mint or wild strawberries. Among the three kinds of sushi, this is probably the one that looks like real sushi. I love sushi with tuna. It’s a classic, and I can eat way too much if you don’t stop me. This strawberry sushi roll is a copy of my favorite sushi. Like any sushi roll, you will need a sushi rolling mat. Cover it with plastic wrap, and put the rice in the middle of the mat. Flatten and spread it out evenly. Then place the strawberries in the middle of the rice. Strips work better, but since I still had some thinly sliced strawberries, I used them instead. Next, start rolling. Tighten as much as you can so the rice will not crumble when you slice. Unwrap the plastic wrap, and slice with a very sharp knife. Don’t worry if they don’t come out as perfectly as you want them to. Just pat them back into shape after slicing. Now the fun part. 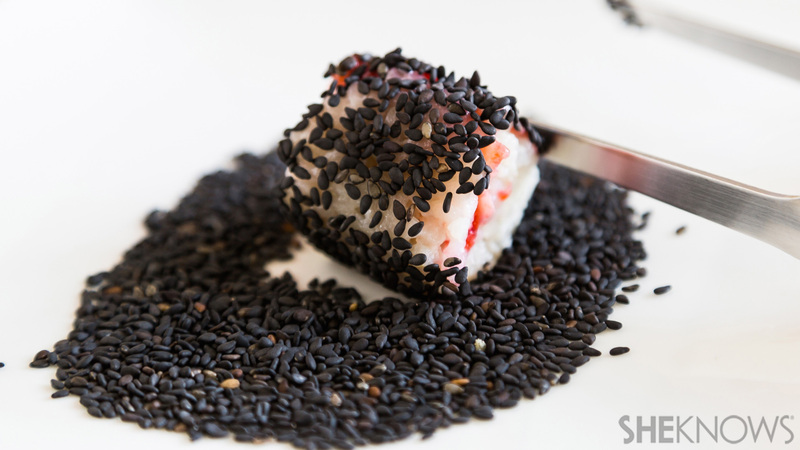 On a saucer with the sesame seeds, roll the sushi on its side (not the top or bottom). And now you have sushi number two. In a small saucepan over high heat, add the rice, coconut milk and sugar. Once boiling, simmer on the lowest heat for 18 to 20 minutes or until tender. Mix once in a while. Let cool. Cover the sushi rolling mat with plastic wrap. 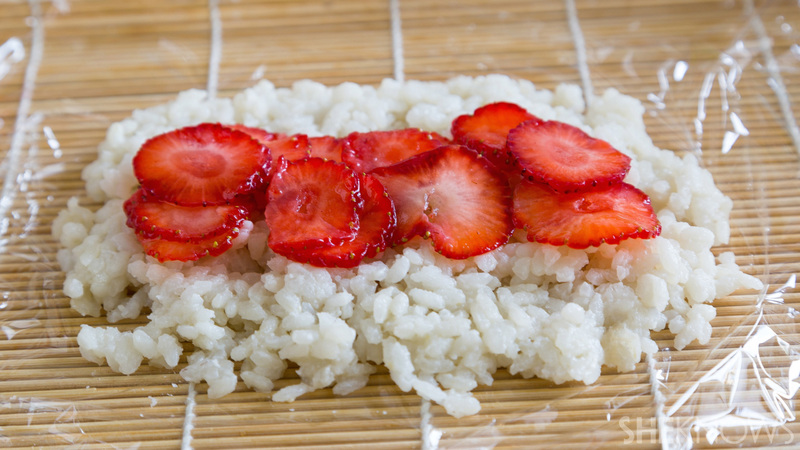 Put the rice in the middle of the rolling mat covered with plastic wrap, and then put the strawberries on top of the rice at the center. Roll the sushi with the help of the sushi mat. Tighten with the help of the plastic wrap to achieve a compact cylinder. Unwrap the plastic wrap. With a sharp knife, slice the rice to bite sizes. On a saucer, pour the sesame seeds, and then roll the sides of the sushi on it. The flavors of these rolls were inspired by my love of peanut butter, bananas, coconut and chocolate. Put them all together in one bite-size dessert, and it’s heavenly. 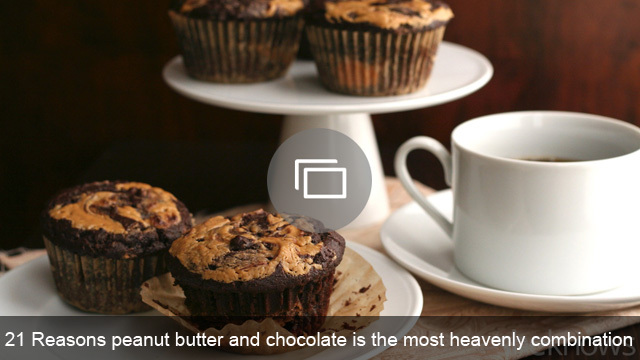 You can also replace the peanut butter with Nutella or a chocolate spread. Slice the banana to bite sizes, between 1-1/2 to 2 inches in length. Note that with one bite, the peanut butter can be overpowering if you make the banana slices too long. 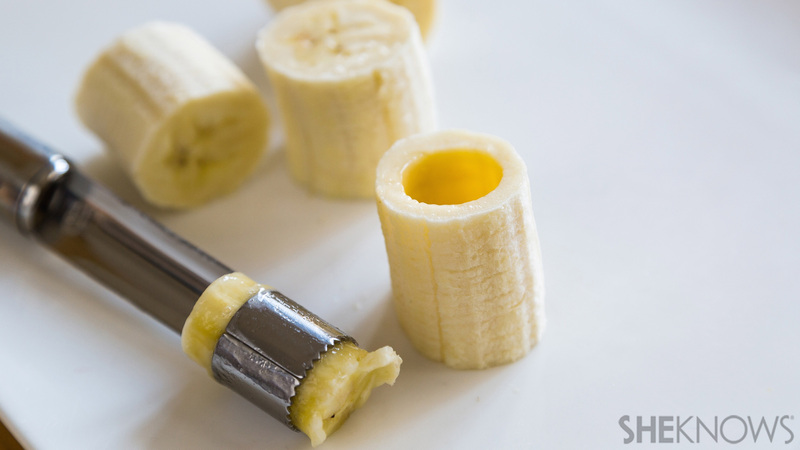 Using an apple corer, make holes in the centers of the banana pieces. You won’t be needing the middle part that you removed, so you can munch on them while preparing the rolls. Fill the holes carefully with the peanut butter, and then sprinkle with the coconut flakes and chocolate balls. The peanut butter tends to stick to the plate, and the bananas are slippery, so be careful when you take them off the plate. Just tilt them a bit, and support the lower part to keep the sushi intact. Divide the banana into 8 pieces of about 2 inches in height. Using an apple corer, remove the middle part of the banana slices. 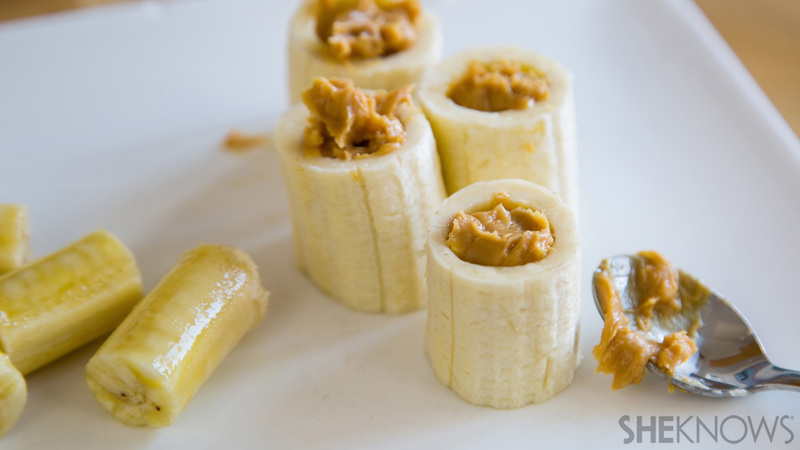 Fill up every hollowed-out banana with peanut butter. Sprinkle the coconut and then the chocolate balls on top. Originally published May 2014. Updated January 2017.